This is so easy, I was sure it wasn’t going to be good. Seems like it would be salty and overpowering, but it was really yummy. 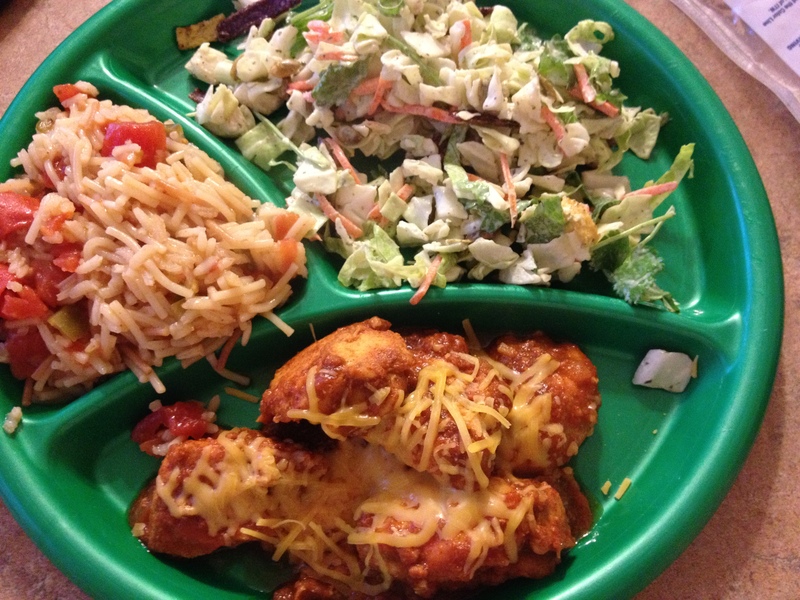 I really liked it with Spanish rice and a southwest slaw. 1. Place chicken chunks into a large ziplock baggie with taco seasoning. Shake until chicken is well coated. 2. Place chicken into a pan that has been sprayed with nonstick spray. I just used a small oval pan. I wouldn’t recommend anything larger than 9×9. 3. Bake at 375 for about 20 min. Pour Salsa over chicken and continue baking 10 more minutes. Approximately 6 weight watchers points plus per serving. I think this is best If you top each serving with either 2 tablespoons shredded cheddar, or 2 tablespoons reduced fat sour cream or plain greek yogurt. DELICIOUS. Editors note: Shave off 20 calories per serving by using our homemade taco seasoning, instead of storebought! 2. Add frozen potatoes. Cook until thawed and warm. 3. In a separate container, mix water with gravy mix packet. 4. Stir Gravy slurry into chicken stock and potatoes. 5. Cook on low for 20 min or so. 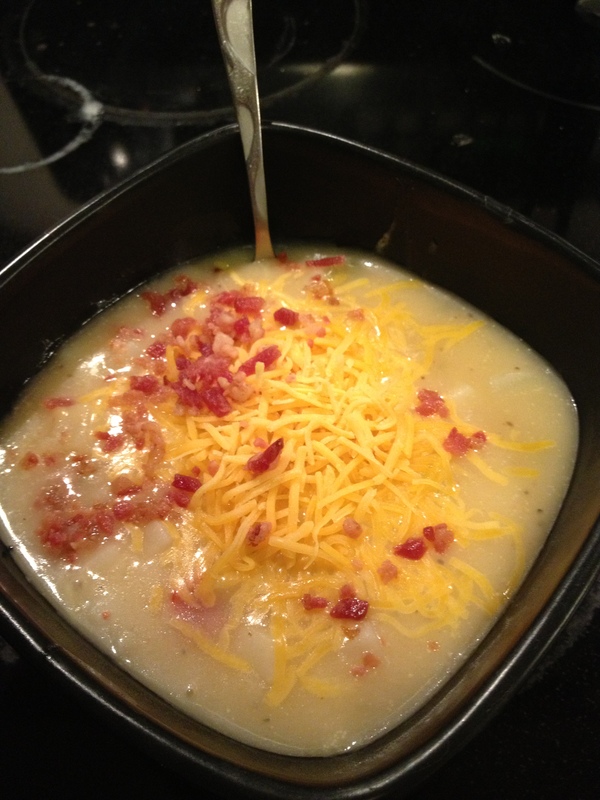 I served this with 1 tablespoon of bacon bits, 2 tablespoons reduced fat sour cream, and 2 tbsp. 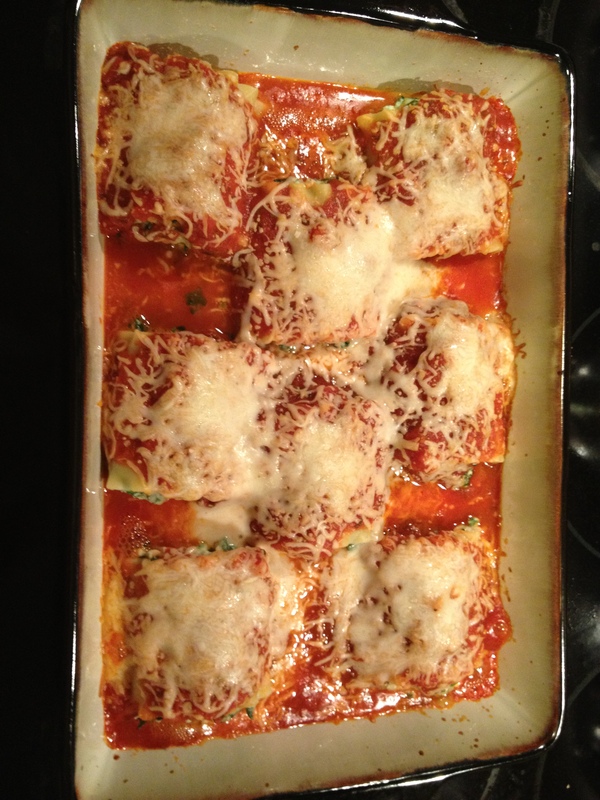 shredded low fat cheddar, and it was YUMMY!!! VF: Replace Chicken Stock with Veggie Stock to make this Vegetarian Friendly! 1. 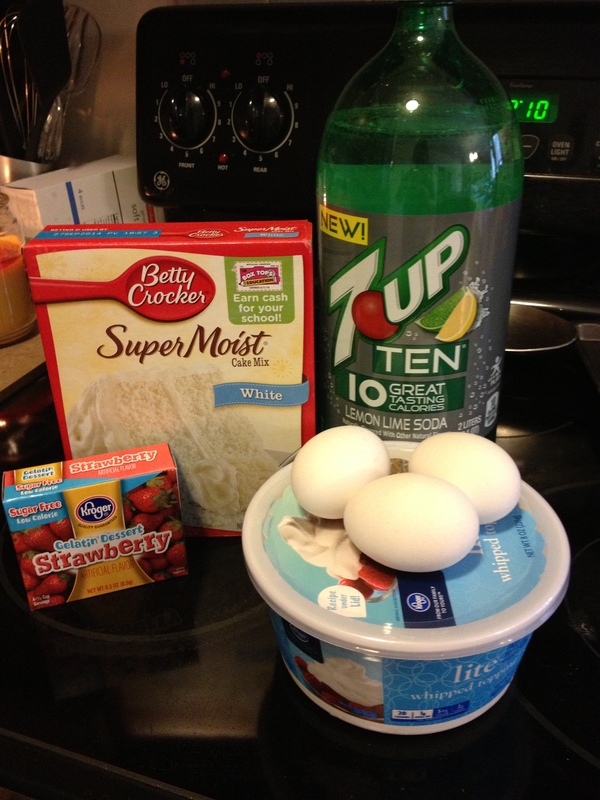 Mix cake mix, egg whites and diet soda together. Pour into a 13X9 pan sprayed with non-stick spray and bake according to package directions. 2. Remove cake from oven. Allow it to cool about 5 minutes. 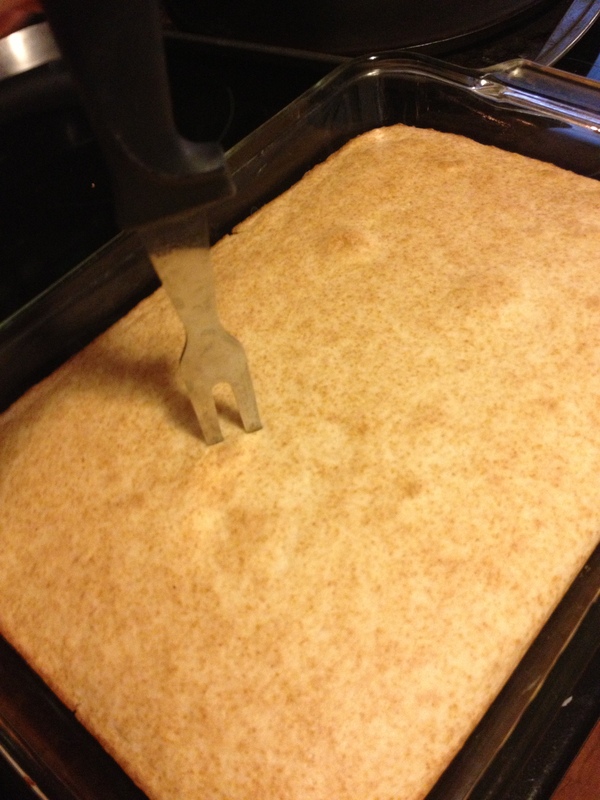 Using the end of a wooden spoon, poke several holes into the cake, about 1 inch apart, and press hard enough that the spoon end touches the glass. 3. Mix 2 cups of milk with banana pudding mix. Mix about 2 minutes until it begins to thicken, but is still pourable consistency. Pour pudding mixture across cake, purposefully filling all holes with pudding. Spread any remaining pudding evenly over top of cake. 4. Refrigerate for 1 hour, then proceed with step 5. 5. Place banana slices evenly across surface of cake. 6. In a separate bowl, mix vanilla pudding and remaining 1 cup of cold milk, just until blended. Gently fold in coolwhip until well mixed. 7. Top the cake with this frosting mixture, spread evenly. 8. Refrigerate at least 1 additional hour before serving. 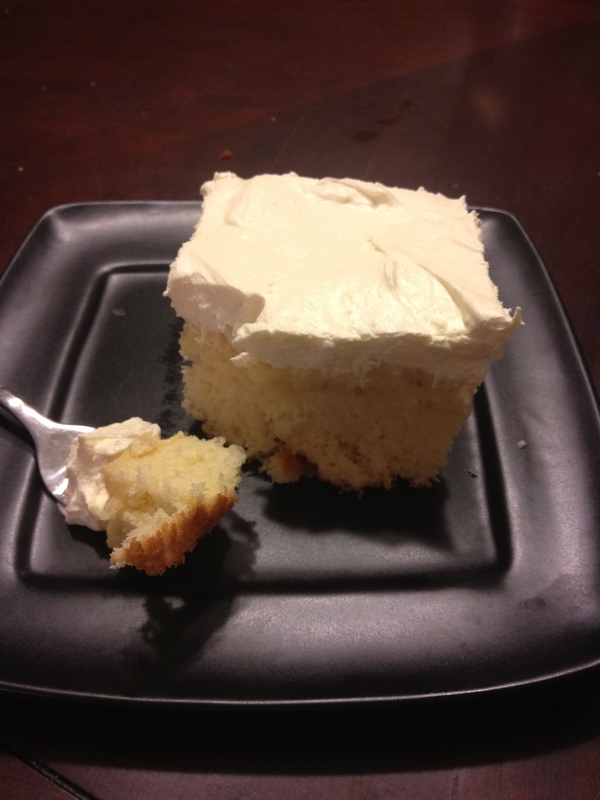 I think this cake is best the next day, but it’s delicious regardless. 12 servings= 240 Calories per serving. 16 servings= 180 Calories per serving. Note: you could easily make this entirely sugar free by replacing regular cake mix with sugar free variety. Adjust calories accordingly. I’ve seen some version of this recipe on many different sites. 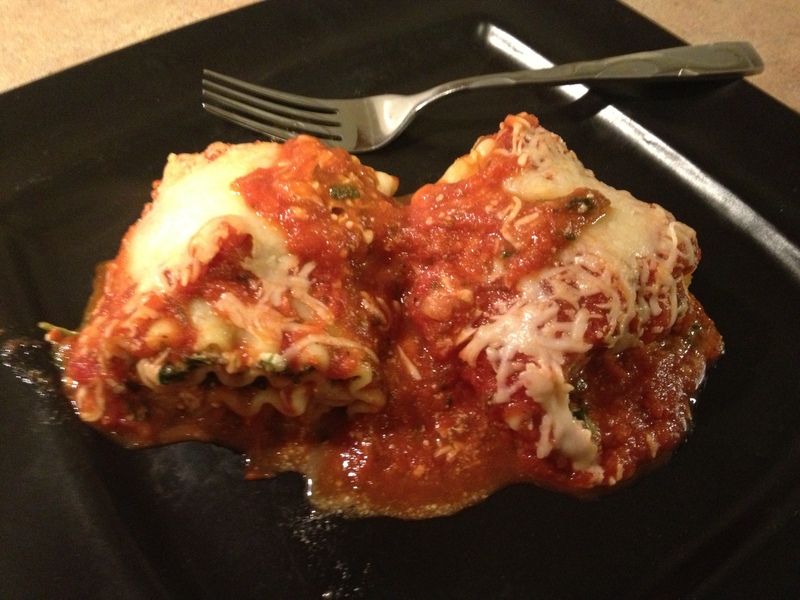 I love to make lasagna, but I don’t do it often, so I thought this version might shave some time off the very time consuming process of making a full lasagna. It did, and it’s a healthy, delicious version. Freezes well too. Great leftovers. 1. Boil noodles in salted water until soft and flexible. 2. While noodles cook: Place frozen spinach in a colander and run under hot water until thawed. Use a paper towel to press all water out of the spinach (by smooshing it into the bottom of the colander). It’s important that you remove as much liquid as possible from the spinach. 3. 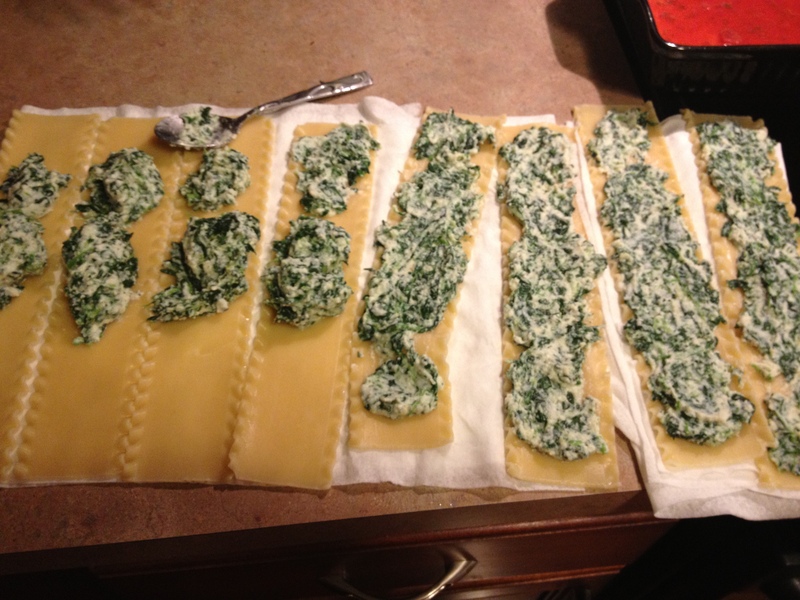 In a medium sized bowl, Mix ricotta, parmesan, spinach, egg, garlic, and oregano together. 4. Open Spaghetti sauce and pour about 1/4 of the jar into the bottom of a baking pan, coated in non stick spray. 5. Place a row of paper towels flat on the counter, long enough to accommodate all your noodles, and about 3 or 4 towels tall. Remove noodles and lie them each flat on the paper towel. Use additional paper towel to pat excess water from the top of the noodles. It’s important that the noodles are dry. 6. Spread Ricotta mixture evenly across each noodle (a little less than 1/3 cup per noodle) using all of the mix. 7. Roll each noodle up, and place it seam down in the pan. 8. 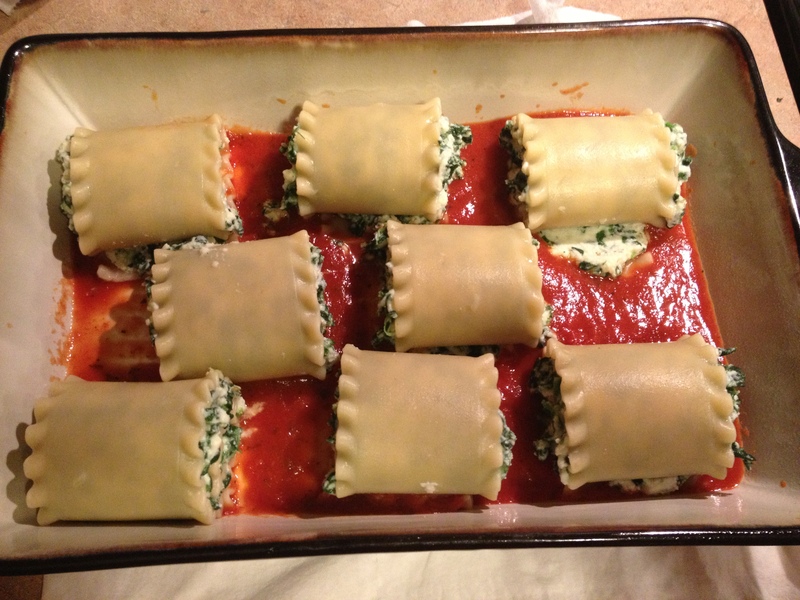 Cover all rolls with remaining sauce and top with mozzarella cheese. 9. Cover pan with foil and bake on 400 for 25 min. 10. Remove foil and continue baking 5-10 min longer (until cheese reaches desired color and texture). 1. Place beef and all veggies into crockpot. Add salt, pepper, and bay leaves. 2. Mix water and Beef Stew seasoning together until mostly dissolved. Pour mixture into crockpot, over beef and veggies. 3. Stir ingredients together. Cook on low 6-8 hours. 4. 15-30 min before serving, remove about 3 tbsp. of juice, and mix in a separate cup with 1 tbsp. corn starch until smooth. 5. Add corn starch slurry back into stew. Mix, and cook on high with no lid until ready to serve. This will thicken the sauce. 6. Remove Bay leaves before eating. 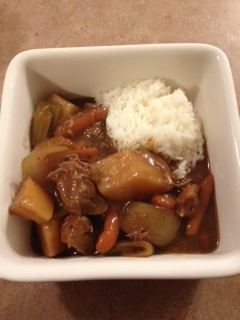 Note: I like my beef stew with rice, as seen in the photo. I served with 3/4 cup of jasmine rice, which made my meal exactly 600 calories. 1. 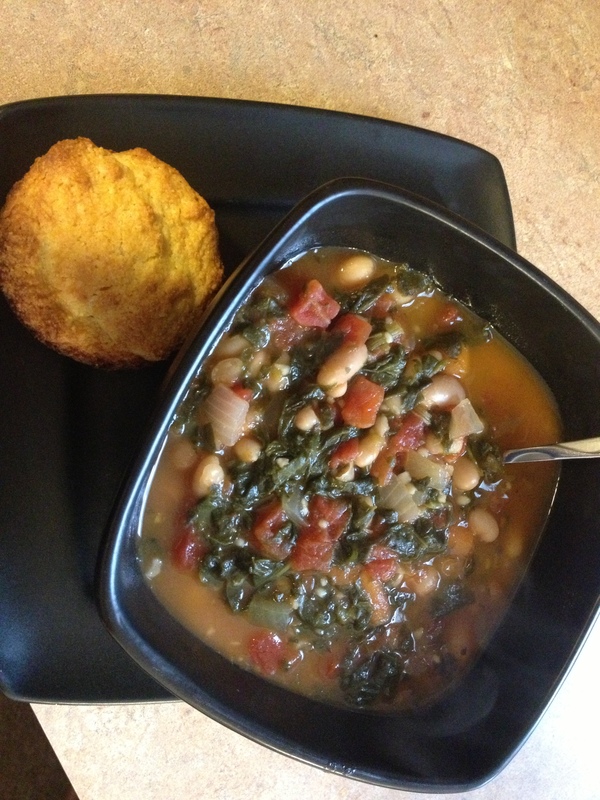 Mix all ingredients except for spinach in a crockpot. Mix well. 3. 30 min before serving, add spinach, stirring periodically. Note: I was in a hurry the first time I made this, so I tried 3 hours on high. No dice. The veggies weren’t soft. So I added about 1 1/2 cups of water and put it in my pressure cooker to finish the job. It came out WONDERFUL. I really enjoyed this soup. I found this recipe today, and I’m SO EXCITED about the possibilities! 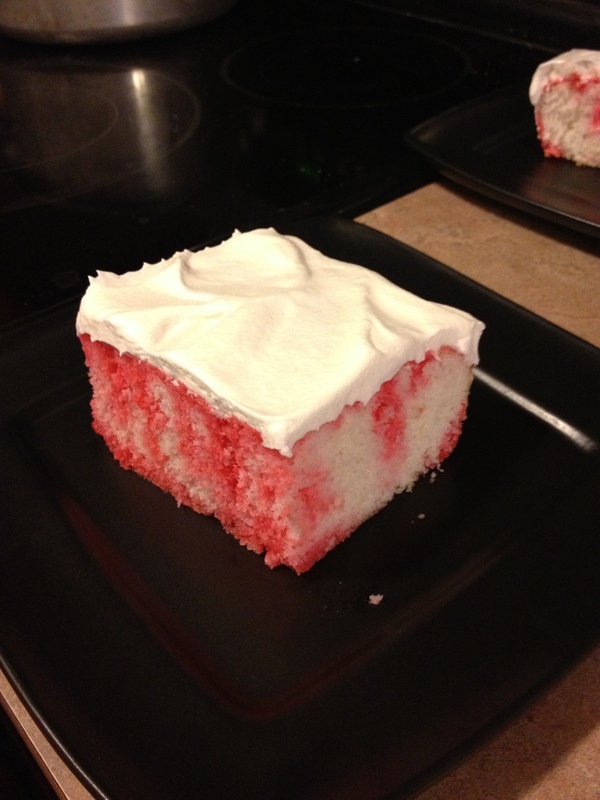 Today I made white cake with Strawberry jello. I think it would also be awesome with lemon cake and cherry jello, chocolate cake and raspberry jello… the possibilities are endless. I will say, I was VERY surprised how much I loved this. Very light. Would be great for Summer. 1. Preheat oven to 350. In a large bowl, mix cake mix, soda, and egg whites. Pour into a 9 x13 pan sprayed with non-stick spray. 2. Bake cake according to directions on box. Once cake is finished, cool 30 min. 3. Once cake has cooled, use a 2 prong meat fork (or a knife, or wooden skewer) to poke many holes all the way through the cake, to the bottom of the pan. 4. Boil cup of water. Once its boiled, mix with jello until dissolved. Add cold water, mix well. 5. 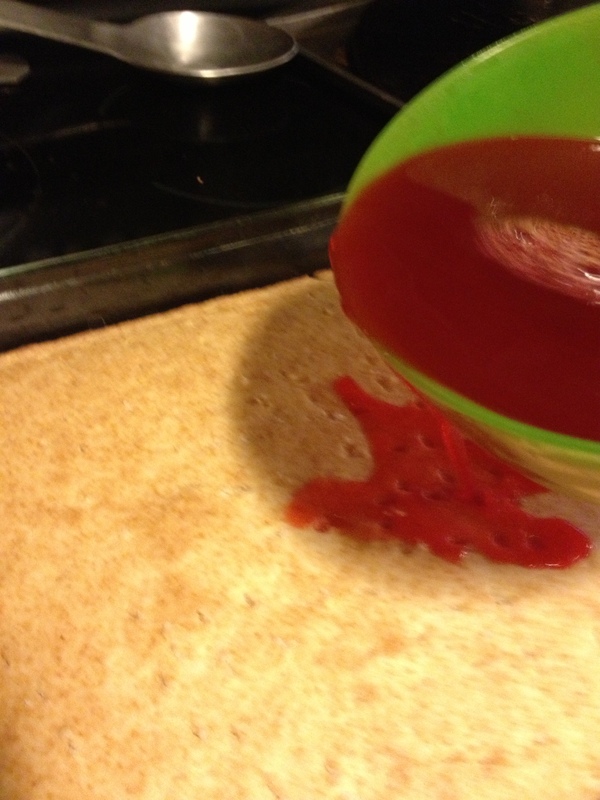 Pour jello mixture evenly over cake. Cover and refrigerate 4 hours or more. 6. Top Cake with cool whip before serving. * Another great option is to use a small box of sugar free instant strawberry pudding. Mix with 1 cup of cold water, and then softly fold in cool whip. This Icing would be awesome on this cake. I didn’t use it this time because I was trying to get the cake under 200 Calories, and this would have pushed it just slightly over.